There is great value in learning to recognize when we are being played. It is expected that the entertainment industry will lull us into a fantasy using hyperbole and beguiling presentation. We actually want that from our entertainment because it's great fun. However, although pretending to be factual, it's important to acknowledge most media "news" is just another facet of the entertainment industry, and as such, uses a technique called spin to sensationalize reality and make it more enticing for the audience. In order to avoid being manipulated by the daily avalanche of fallacious news and information we must learn to separate fact from fiction; and calling out fallacies. We learn to do that by employing critical thinking skills. We sharpen those skills through ongoing practice and experience. In an effort to exercise this skill and better understand how easily we can be manipulated by coy presentations of information, we became the manipulators, so-to-speak and played Spin Doctor. Here is the exercise. It's quite fun. Give it a try and if you do, let us know how it goes for you! First, write a straight article on anything at all that occurred recently. It's especially fun if it's a mundane event with some sort of punctuated element: It was a windy day, a waitress brought the wrong drink at the restaurant, a friend fell off a bike down the street, a dog kept barking next door, Mom made pancakes for breakfast. When writing the straight article, just stick to the facts, what, how, who, why, when. Avoid opinions, emotions etc. Just tell what happened. This works better with 2 or more participants. If you are working with one child, do an article yourself as well or ask your spouse or other friends family to help out. We did four. Then swap the articles and SPIN! Participants will read the straight article and add sensationalism to it, making it still mostly true, but with tactical spin. The goal is to make it sound more interesting and dramatic and like something ghastly or incredibly awesome happened and that everyone should take cover or take action. This is done by inserting hyperbole, well-placed opinion, logical flaws and manipulative language. This is not an easy thing to do! And that is part of what is learned here - that sensationalism is a skill and a trade that people practice and therefore are paid to do - which tells us something about "news" right there! The second, but no less important lesson learned here is how to recognize manipulative language and spin, which helps us learn to avoid being swayed by it. And of course, extra practice in the mechanics of language and creative use of words, helps us sharpen our communication skills which bolsters our intellectual health and well being. Reading the straight, then the spun version out-loud is fun, educational and brings about great discussion. We laughed, we pondered, we philosophized for a good chunk of the afternoon; and it still comes up frequently when we recognize spin elsewhere; which is the whole idea! 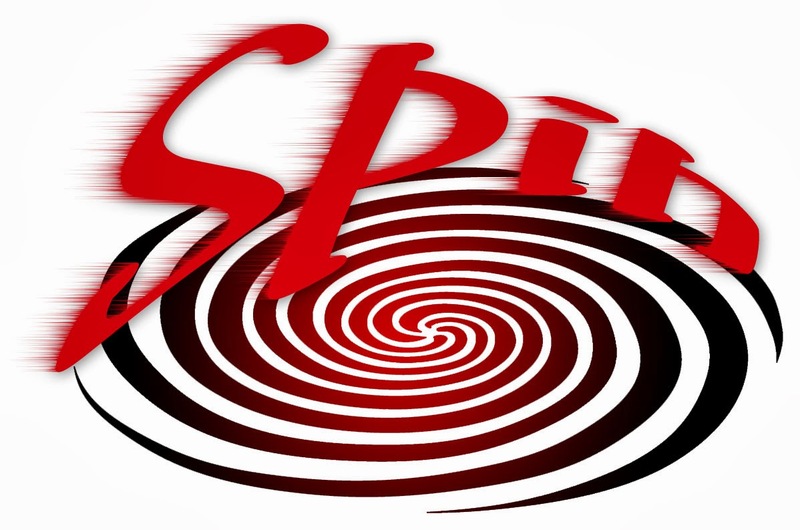 Spin Doctoring helps train the brain to recognize when it is happening and punctuates the significance of understanding language beyond just superficial speech and reading words. It also demonstrates the significance of critical reasoning.